1. The former operators of a Castro Valley senior living center were indicted on fourteen felony counts of elder abuse for abandoning elderly and mentally ill patients in 2013, the Bay Area News Group$ reports. Herminigilda Manuel, ex-owner of Valley Springs Manor, and Edgar Babael, the home’s former administrator, could face up to seventeen years in prison if convicted. Authorities said Manuel and Babael abandoned the facility, leaving residents to fend for themselves, when the state ordered the closure of the troubled home. 2. A West Oakland mother was fatally shot Monday afternoon by a stray bullet as she tried to protect her two children, ages 7 and 9, during a gunbattle in front of her home, the Bay Area News Group$ reports. 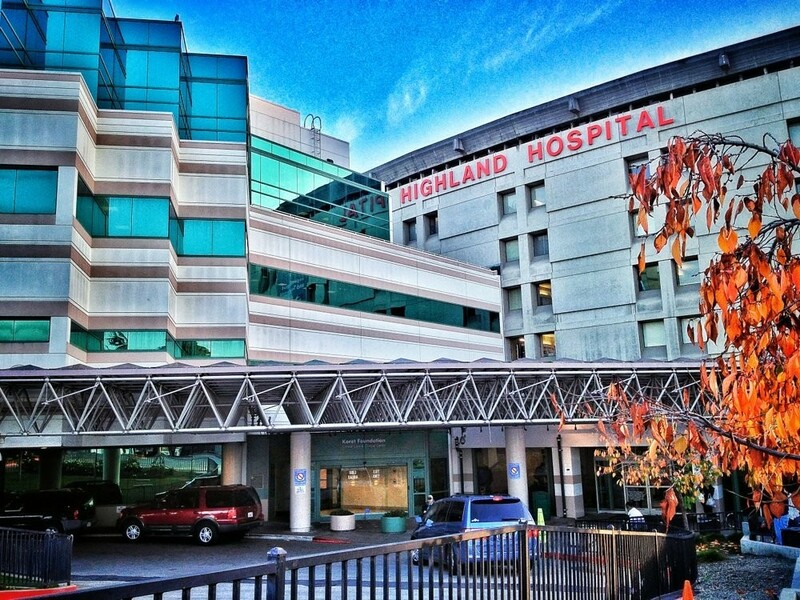 After Chyemil Pierce, 30, was killed, paramedics took two other wounded people — a 16-year-old and a 19-year-old — to Highland Hospital, where another gunbattle erupted. 3. A well-known Oakland artist— Celeste Jewell Howell, 50 — was struck and killed in a hit-and-run crash on Saturday as she was walking home, the Bay Area News Group$ reports. According to police, Howell was walking on a sidewalk in West Oakland when she was hit by a driver who lost control of a stolen car. 4. Bay Area transportation officials may eliminate toll takers at all bridges in the region and adopt a fully automated system like the one used on the Golden Gate Bridge, the Chron reports. 5. San Pablo officials are trying to hammer out a $1.7 million real estate deal this week that could keep the beleaguered Doctor’s Medical Center open for another week or two — or possibly longer, the CoCo Times$ reports. 7. And Obamacare is turning out to be much cheaper than anticipated, the Washington Post$ reports. According to the nonpartisan Congressional Budget Office, federal expenses related to the Affordable Care Act will be 11 percent lower during the next decade than projected.